Home » Discourses » What is True Dhamma? For thousands of years this region of Nasik has been an exalted spiritual centre of India. Not only here in the state of Maharashtra, but it has been a place of spiritual pride for all of India. People from near and far have been coming here to get established in sublime spirituality since ancient times. From here, on the banks of Godavari river and up to the region of Paithan, a few hundred miles away, about 1800 years ago there existed a number of sanctified areas where Sages and Saints practiced tapas (meditation), undertaking deep and varied sadhanas – some meditated, some performed yagya or fire homage, while others followed vows and practices of various traditions. Thereafter, a major wave of bhakti (devotion) tradition arose engulfing a large number of people here and all over India. This tradition is still going strong. 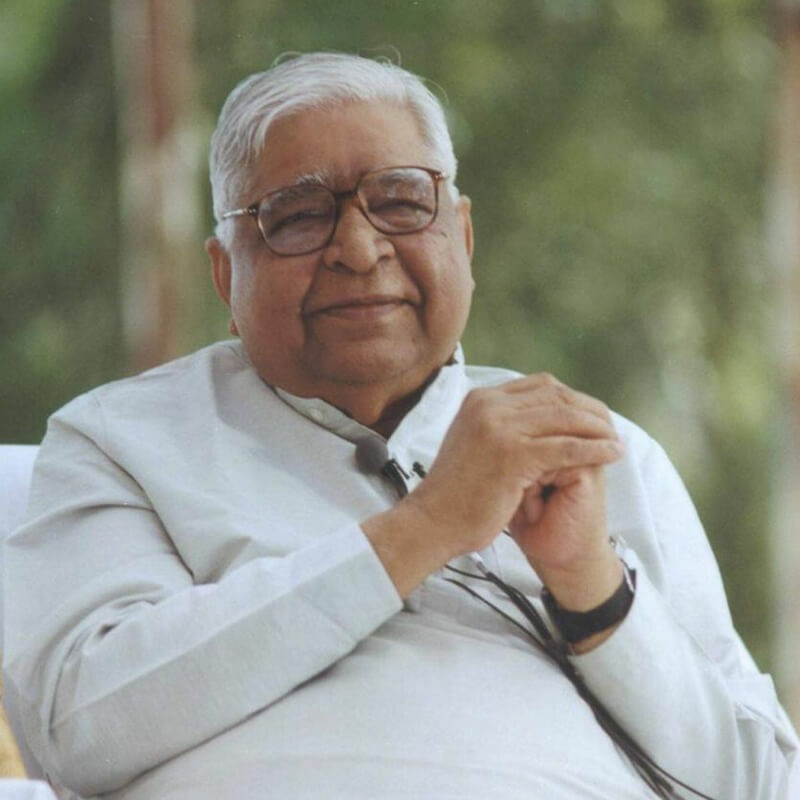 Now once again, the era of deep meditation of Vipassana has arisen and what’s more, people here are readily accepting it, proving their strong spiritual affinity. A few days ago nearby in Mumbai, the foundation stone was laid for a huge Global Vipassana Pagoda. A respected guest once asked me, ‘Sir, why did you choose this area, what pulled you here and not somewhere else in India?’ The truth is that I did not choose the place, this blessed land chose me! The people here have an inclination towards spirituality; they understand the significance of Dharma (Dhamma). When explained properly, they grasp its essence and are ready to start walking on the path. For this is not a subject of mere conversation and intellectualization. One has to walk on the path. Unless Dharma is put into practice it cannot give the desired results. If it becomes a mere topic of empty intellectualization and speculation then it loses its vitality. Let us now understand what Dharma is, how to live according to its tenets and why indeed we should live in accordance with Dharma. In these three days we will explore this subject in some depth. What is Dharma? In the last 1500 to 2000 years, to its great misfortune, India lost the true meaning of the word ‘dharma.’ How indeed could one live according to its tenets when its very meaning was lost! To make matters worse many types of support, one could say crutches, were added to it. Various communities created their own respective dharma; hence there came about Buddhist dharma, Jain dharma, Hindu dharma, Christian dharma and so on. These sectarian terms were the crutches attached to Dharma, though it does not need any support. It gives support. But when these crutches arise, they take precedence and become prominent, while Dharma recedes into the background, unseen. To our great misfortune this is what happened. In ancient India Dharma meant that which is imbibed, lived by – dhāretīti dhammam. That which arises on the surface of mind at a given moment was considered the dharma of the mind. What does the mind imbibe but its own nature, its own characteristics, that is its ‘dharma’. Dharma meant the characteristics, the nature of a particular element. Dharma in the language of those days was also called rit, meaning the law of nature. For instance, the nature or characteristic of fire is to burn and burn whoever comes in contact with it. The nature or characteristic of ice is to be cool and cool whoever comes in contact with it. We also say that it is nature’s law that all beings face death, illness and old age. The law of nature, in other words, was Dharma. Let us examine what the nature of the mind is. Whatever has arisen at this moment in my mind: anger, animosity, jealousy or arrogance for example. These are negativities that may arise from time to time, and as such have been called the nature of the mind, that is, the law, the Dharma of the mind. The great researchers of yore – the Rishis, Sages, Saints, Gurus, Arahants, Buddhas searched long and hard to find what was Dharma, or the nature of the mind. Any defilement, any negativity of anger, jealousy, or arrogance, when it arises, it results in tremendous heat and agitation within. This is its nature. It is inevitable. If anger has arisen within, then another part of nature, agitation, will follow as an inevitable result every single time. These defilements always arise coupled with agitation. This was called sahajat – meaning together; this misery arises along with its own consequence, its own effect every time. Let us understand this better – when burning coals are put in a container, these will burn the container before heating up the external environment. Anyone who comes near it will feel the heat. Similarly, if one keeps ice in a vessel, it will first cool the vessel before cooling the external environment. This is the unchangeable law of nature. Just like fire, when a person is angry, he first becomes the victim of his own anger before spreading vibrations of agitation and heat in the environment. All those who come in contact with this person feel the agitation. This is the expression or nature of a mind dwelling in ignorance manifesting itself. As soon as one distances oneself from the burning coals, the heat will subside. The Sages of yore, as mentioned earlier, realized the profound truth that when any defilement like jealousy, anger, arrogance etc. arise then it will inevitably burn them. If they put burning coals in their mental vessels, then the result can’t be anything but heat and agitation. At such times they behaved this way in ignorance not realizing the immutable law of the nature; since no one in their rightful mind would want to generate burning agitation for themselves. A child in his ignorance does not know that fire burns and puts his hand on burning coals. Startled, he pulls his hand back. Curious, he again puts his hand on fire then pulls it back when it burns. This may be repeated a few times, until he finally realizes that this is fire, it burns and should never be touched. A child understands. But what do we do? We keep filling ourselves with more and more burning coals, burning ourselves and others. Sheer ignorance! When anger, jealousy, aversion, arrogance or some such defilement arises, it keeps multiplying within filling us with thoughts of the event or the person who was instrumental in its occurrence. We justify it to ourselves by saying, ‘Such and such happened which angered me, so it was not my fault. It is only natural that I became angry’. Natural indeed! You are angry with someone or some event which obstructed you from reaching your desired goal. Maybe, but the fact also is that you are burning yourself. You have not seen the heat within. The mind is only looking outwards. On the other hand, if instead of burning coals, cool ice is put in the vessel then it will result in soothing, calming coolness since ice will also follow its own nature to cool. The attributes of mind that carry cooling properties are loving-kindness, compassion, and joy in another’s happiness. All good habits have the integral nature of imparting cooling calmness to one’s self as well as to others around one. The science or technique of looking within was called Vipassana in ancient India. Though one needs to be aware of external reality, to observe within was rightly considered vital for one’s mental development; to watch the reactions that arise within due to certain events is one of the most important aspects of consciousness. The day we can truly see this truth, is when we start to understand pure Dharma without any crutches. take place outside and sees those events as the cause of his anger, jealousy, animosity etc. As he matures on the path, he disengages himself from events and focuses attention on what happens within when he gets angry. He begins to see that in such situations he burns with agitation and unhappiness. As he continues to watch within and understand this fundamental reality of Dharma, his nature and behaviour starts changing. He grows deeper into Dharma. He also learns that getting muddied with defilements is not Dharma. He also sees that awakening wholesome qualities like compassion, loving-kindness and joy in others’ joy is Dharma as he experiences serenity and peace upon generating such qualities. dhāretīti dhammam – Dharma is that which is lived and imbibed. When one knows it at an experiential level the person becomes trulyDharmic. One knows well that if one lives with fire one will certainly burn and conversely, if one lives with ice, one will remain cool. Nothing can alter this phenomenon. This is rit, the universal law that governs all without exception; it does not differentiate between people belonging to different sects and communities, be they Hindu, Muslim or from any other community. The day we recognize this universal aspect of Dharma, that day humankind will make a quantum leap in human evolution. If one forgets this universal truth and persists in putting undue attention on external rites and rituals, then the work of self-evolution slows down, or indeed one moves further away from Dharma. Various sects and communities have their own rites and rituals, their way of dressing, their life philosophy and respective social customs which govern their lives. There is nothing wrong with that, but these social rituals and conventions are not Dharma! Investing all his time in rites and rituals, one may fool himself thinking that he is very Dharmic; but when he probes deeper within then he may see the reality of how far he has moved away from Dharma, from wisdom and knowledge–generating defilements, growing agitated, harming himself and disturbing others’ peace. Dharma is, as said earlier, universal, and has but one yardstick to check whether one is growing on the path; that is to see whether defilements are decreasing. This is the simple and only yardstick to measure Dharma by. Then whichever caste, sect or class one may belong to becomes immaterial once one understands the true and universal nature of Dharma. True Dharma teaches us to be selfish in its true sense. A person learns to watch himself in all situations, at all times; to see what has arisen on the mind at the given moment and how has it affected him. A truly selfish man understands where his best welfare lies and works accordingly. Such ‘selfishness’ has nothing to do with selfishness as it is commonly understood, where a person may cheat and lie to protect his interests. He may appear to be benefitting himself by being selfish in those moments, but he is actually working against his interests as he is harming himself by cheating and lying. A truly selfish man works towards his best welfare by growing in Dharma. If virtues of loving-kindness, compassion and goodwill for all are growing in him, then he is indeed taking care of his ‘selfish’ interest. But if negative values become predominant in him, then he is harming his self-interests and going against Dharma. Understanding this at an intellectual level is never enough. Hence the spiritually evolved Saints of this country exhorted others to safeguard their interests and see the truth, the reality within. Until one learns to look inside, whatever experiences one may have in the external world, will not prove to be meaningful. When one learns to explore within and see, then one discovers a true gem, one learns to live life as it is meant to be lived, meaningfully enriching oneself. Living in peace and joy, he can then be said to have learnt the art of living. Who doesn’t want this? Who indeed wants to burn in hellish fires of defilements? Of course no one does, but out of sheer force of habit, one persists in indulging in acts that make him and others around him unhappy. But when he turns his mind inwards and starts seeing within, he realises the futility of living with anxiety and agitation, making himself and others unhappy. However, constantly reacting with aversion towards the unwanted, and craving towards the wanted, the change does not come about with mere discourses, as habits are deeply rooted as we have become slaves of our desires. Change must come from within. What does one do for that? The Rishis of yore were seekers who explored the meaning of rit, or the law of nature, the law governing this entire universe. They did not search intellectually, externally; they searched within looking for answers. One of the ways that they found was that whenever aversion or a feeling of anger arises, one should shift one’s attention to something else; start drinking a glass of water or start counting 1-2-3-4. Shifting the attention of course proved to be helpful in making one feel better. Even starting to chant the name of one’s favourite Gods, Goddesses or one’s Guru eased up anger or negativity that may have arisen. The best way however to purify oneself of defilements was to understand the fundamental law that if you defile your mind, the nature will certainly punish you, and punish without delay. Conversely, if you purify the mind with virtuous thoughts and deeds, the reward too will follow without delay. There is absolutely no delay in the nature’s response; it is but an echo of one’s own thoughts and deeds. As a citizen of a nation, whichever nation one lives in, one follows its laws. If any law is broken, the punishment that is likely to follow may take time due to legal delays. One may even get away scot free and not have to suffer the consequences due to some legal error. But the law of nature or Dharma has no exceptions and no delays ever. Defilement in thought and action is automatically and immediately followed by agitation and anxiety, just as a good deed or good thought is immediately followed by the reward of peace and joy that inevitably follows. As soon as one begins to understand this at the experiential level, one’s nature and behaviour starts changing for the better. No one ever wants to live a life of misery but ignorantly one generates negativities again and again and becomes agitated. Even when the mind wanders idly, some defilements are being generated, thereby adding fuel to the burning fire within. Why does this happen? Listening to words of wisdom but not following them up with action is an exercise in futility. I too have performed rituals and spent years listening to discourses. These may help to awaken wisdom somewhat, but only briefly. For example, when someone near and dear has passed away and is being cremated there is always a moment of profound wisdom in us, “Oh, I too will one day end up like this on a burning pyre and nothing will accompany me, so of what use are these mindless worldly pursuits? Why be attached to this ‘I’ and this ‘mine’; why develop pride?” This is what is called ‘graveyard wisdom’, which has nothing but a temporary impact on the surface of the mind. As soon as one steps out of the cremation ground, our world with all its attachment of ‘me’ and ‘mine’ takes over. It has also been my experience, and that of thousands of others, that those who come here for mere intellectual analysis and understanding return empty handed. One may contemplate, “Oh, what is being said is so true! I should not defile my mind with negativities as it only makes me unhappy. Instead I should generate goodwill that contributes to my happiness and the happiness of others.” This effect on the listener is lost since no action follows which will change the old behaviour pattern of the mind. At times we may immerse ourselves in bhajans (religious songs), or japas (chants), or some other religious ritual, which all give some peace of mind making us feel good for a while. But this feeling too is short lived. In ancient times, the surface level of the mind was called parita citta, which means a small part of the mind. Whether this part of the mind generates positive or negative thoughts is of no relevance since the message that we give to our minds at this level barely penetrates the deeper mental level, if at all. It is in the inner part of the mind, the larger part of the mind, the subconscious mind, where the same old pattern of ignorance and darkness prevails. An unpleasant experience instantly results in a reaction of aversion and negativity. And a pleasant experience instantly results in a reaction of craving and attachment. This has been its nature for innumerable lifetimes. One may not believe in many lifetimes, yet he or she certainly believes in the existence of this lifetime and can see clearly that since early childhood one has been reactive. One also sees that whenever something undesirable takes place, or something desired does not take place, then aversion and agitation arise as an inevitable result. One has to come out of this. ‘Yo vishwabhi vipassati, bhuvana. Sam cha passati, sa naha parshadati dvishaha’. 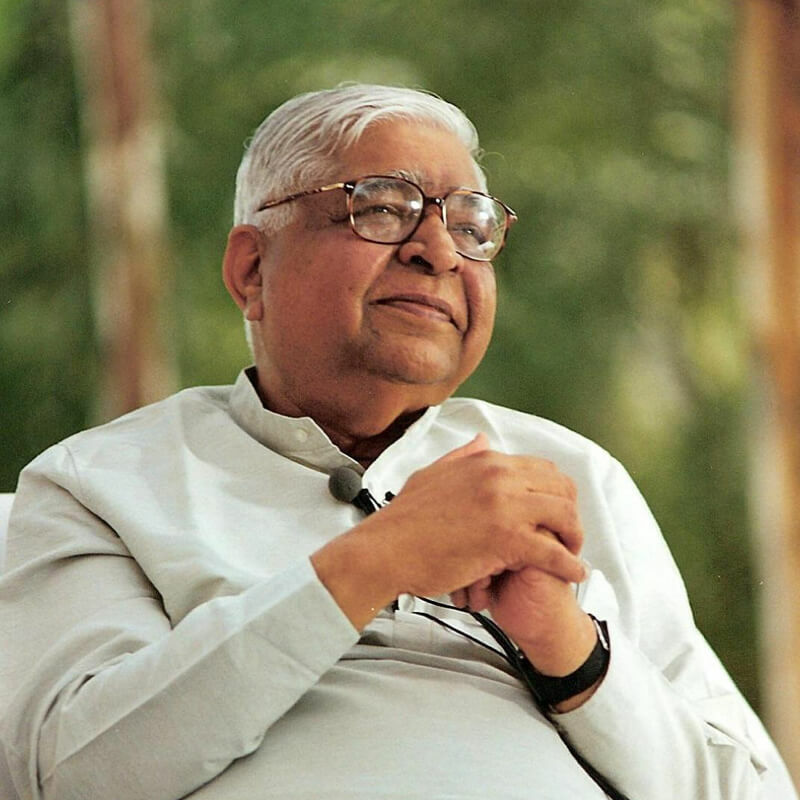 -Yo vishwabhi vipassati – Having turned his face away (abhimukh) from the world, he then practices Vipassana. The word vishwa that is used here means the world in today’s language. But thousands of years ago, vishwa meant that which keeps multiplying (vishadikaran) and growing. For instance, if a negativity is generated within, then it is not a momentary happening. Once it arises it keeps growing, burning within for hours – be it passion, anger, fear, arrogance or any other negativity. It keeps growing and multiplying. Through this Dhamma which was never heard before by me my eyes of wisdom have opened. How was it possible that he had never heard of this? His father, King Shuddhodhana, had taught him all the scriptures of those times. While studying he must have come across the couplets of the Rigveda. Then why did he make such a statement? Certainly he was not lying! 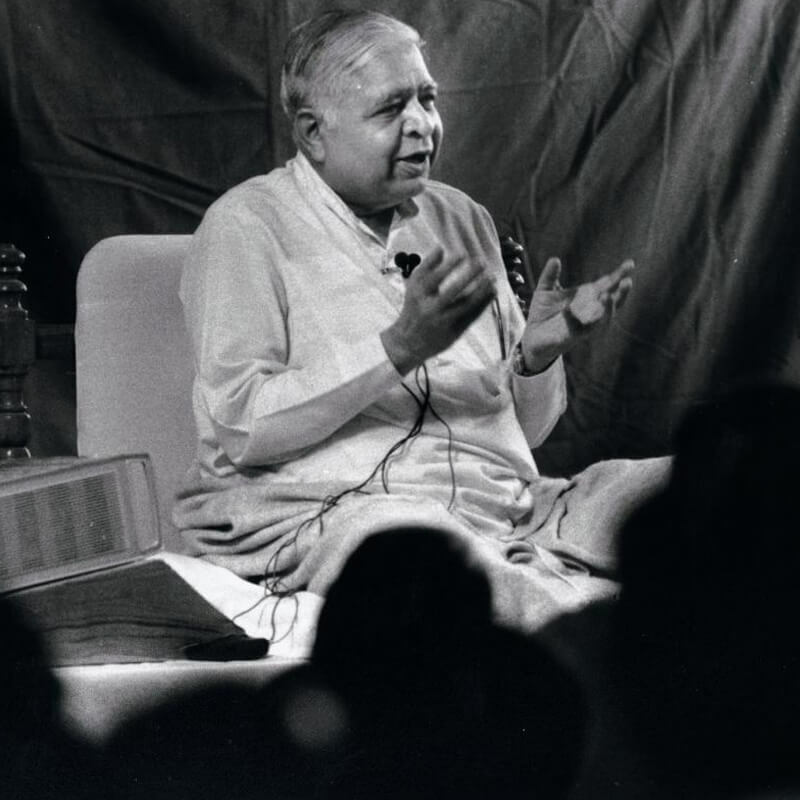 In regards to Vipassana in particular, he had said that over the centuries the meaning of the words describing the practice had changed since the practice had died out. Hence these words were not understood at the experiential level. Without practice, when the true meaning of these words changed, then the way to live the life of Dhamma was lost. Only mantras remained. People were just told to recite a particular mantra and then their agitation would dissolve. How this was possible was not explained. People were not taught the way to go within to observe whatever arises, as it is, with equanimity, without any judgement. They were also not told that as you observe what is happening in its true nature then the impurities slowly start dissolving, dissipating, and reality becomes clear. This ancient, invaluable knowledge of India was totally lost. When it reappeared, it blessed this country for 500 years with its teachings. This state of Maharashtra in central India was particularly blessed as the practice continued here for another 200 years. So for 700 years Vipassana remained vibrant and alive in this region. The numerous caves around here, where people meditated, are witness to this fact. However, gradually rites and rituals took precedence and the Dhamma was again lost. What indeed is Dhamma? Teachings on how to purify the mind are Dhamma. When the mind is purified then one can truly live the life of Dhamma. Whenever the mind is defiled, then any action, be it at the physical or vocal level, will be unsuitable. And when the mind is purified then one need not worry, as actions that are carried out by a wholesome, balanced mind result in peace and joy. This is not obtained by any magic or miracle, one has to be disciplined and really work at it to obtain results. After sitting a 10 day Vipassana course, if a person believes that he has understood Dhamma so well that he will no longer experience anger or any other negativity, then he is only fooling himself, as he has just initiated the process. As one makes an effort to start living a wholesome Dhamma life, gradually a positive change will take place. Once there happened to be a Dhamma emperor in our country who would teach criminals and others the process of self observation, as he knew that this would bring about a change in them. As a result, changes indeed started taking place in the country’s prisons. Today criminals say that they were lucky to come in touch with Vipassana and be encouraged by the prison authorities to attend a Vipassana course. Who knows if they would have taken this initiative if they were out in the world. To this we say, those who are out in the world are also actually imprisoned. Everyone is imprisoned by his or her own defilements and anxiety, imprisoned by their own behaviour. Indeed we are so imprisoned by our behaviour pattern of reaction, that even a minor event which occurs against our wishes gives rise to aversion, which further gives rise to anxiety and agitation. Who is responsible for this state of affairs? Will prayers to this or that God help? If we keep creating difficult situations for ourselves and expect someone else to rescue us, it will not work. We must remember the exalted qualities of whichever God or Goddess, Brahma or Saint we have faith in and make an effort to start awakening them within. Developing their virtues is the hallmark of sincere faith. Leading a life of true morality is the life of Dhamma and a life lived with unwholesome behaviour is a non-dhammic life. This understanding inspires a person to start living a pure life. It is for one’s own welfare since one cannot generate negative actions at the physical level or vocal level without first generating unwholesome thoughts in one’s mind. A human being is a social being. If he or she lives a wholesome life then peace and joy will prevail in society. What are wholesome acts? To refrain from killing, stealing, sexual misconduct, speaking lies to cheat someone, speaking harshly or gossiping about someone, and indulging in alcohol and drugs. One also begins to understand why one should not perform violent acts after coming in contact with Vipassana. Vipassana is a potent means to discipline the mind so that one can learn to live a wholesome life. Just as one needs to do some exercise or pranayama to keep the body healthy and full of energy, so also the practice of Vipassana helps in disciplining the mind in order to control it and turn it towards a Dhamma way of life. Vipassana is totally result oriented and its practice leads one towards a happy and peaceful life. May all who have come to today’s Dhamma gathering understand Dhamma deeply and make an effort to live the life according to its tenets. May you all be happy. May you all be liberated.